College is an intimidating prospect to many students and families. Education isn’t getting any cheaper and student loans are deceptively simple to get but incredibly hard to pay off, especially when the economy and job market hit a rough patch. Students who want a college education shouldn’t give up or give in to loans, however. 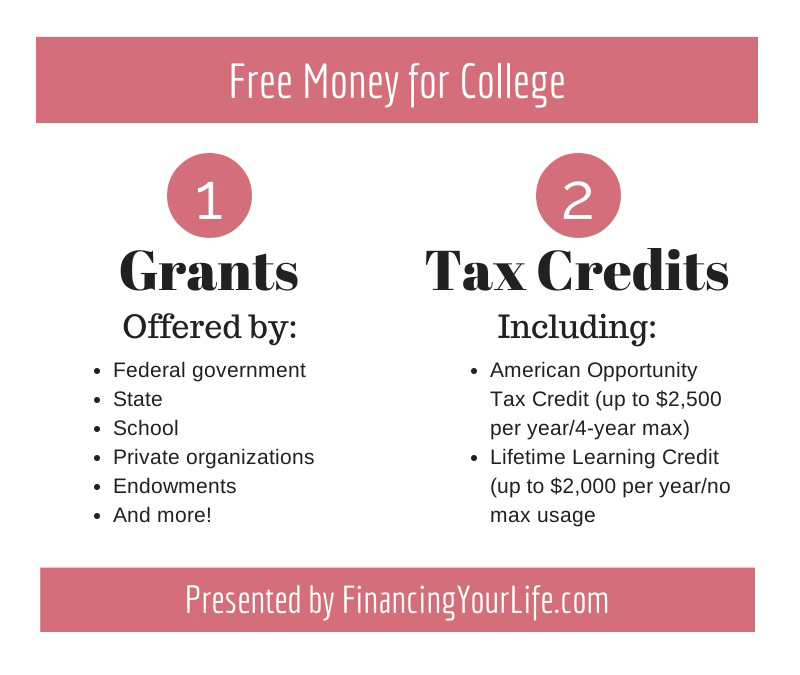 By mixing free money, tax credits, scholarships and free tuition programs, you could make college far more affordable. Grants come in many shapes and sizes. Federal grants, such as the Pell Grant, can provide funds to students with a family income of up to $50,000. Other federal grants can help science and math students or offer supplemental benefits based on financial need. Individual states have their own grant programs often based on the student’s field of study. Grants aren’t just a government program, though; they can also be issued by colleges, private groups and organizations, endowments and more. Check with your school’s financial aid office to discover all the grants you could qualify for. 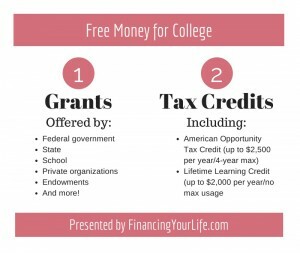 The American Opportunity Tax Credit offers a tax credit of up to $2,500 of the cost of tuition, fees and materials (including books) each year for the first four years of college. If this credit results in a tax overpayment, then it entitles you to a refund of up to $1,000. It’s important to remember that while this tax credit reduces your tax liability, you must allocate the refund (or funds you would otherwise have spent on taxes) to loans or future tuition in order to really benefit. Another tax credit program is the Lifetime Learning Credit. This offers up to $2,000 in credits for qualified expenses and students. There’s no limit on this credit, so even if you’re in school for 10 years, you can still apply. It cannot be combined with the American Opportunity Tax Credit, however. It’s well worth it to do some legwork and find ways to reduce college education costs. The time you spend could save you thousands and make that college degree a more realistic dream. Tune in next month for part two of this series.